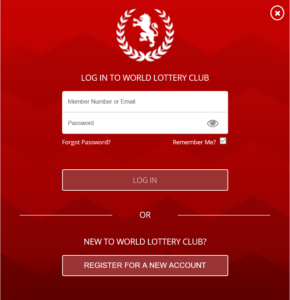 World Lottery Club Review | Scam Or Legit? Find Out Now! NOTE: World Lottery Club has rebranded as LottoGo. You can check out our LottoGo review for more information. I have mixed feelings about World Lottery Club – it’s neither outstanding nor terrible. World Lottery Club has a few things going for them, such as a very decent mix of lottery games, well executed education materials, and top-notch security. If you dig deeper, however, the cracks become evident. For starters, they only accept a very limited number of payment methods, which could be a big deal breaker for some players. Their multi-draw discounts, meanwhile, only take effect when you enter 24 draws or more, and they aren’t even that significant. Finally, they only allow you to bet on lottery game outcomes. If you have no problem with that though, World Lottery club is, at the very least, worth a look or two. World Lottery Club’s single play games offer good variety – which I definitely liked. Let’s get this out of the way: with 17 games, World Lottery Club will never be able to compete with, say, the sheer vastness of theLotter’s collection. But that doesn’t necessarily make World Lottery Club a bad choice. On the contrary, World Lottery Club assembles a decent range of games. You’ve got popular lotteries like US Powerball and Mega Millions alongside lesser known games like Finnish Lotto or Swedish Lotto. World Lottery Club has a decent lottery syndicate collection for people interested in group play. All of World Lottery Club’s single-play lotteries are also available as syndicates, with the exception of Australia Monday & Wednesday Lotto. World Lottery Club even goes one step better: the European Club syndicate. This is a syndicate bundle that includes two 55-entry shares to Euromillions (for two separate draws) and one 45-entry share to Eurojackpot, for a total of 155 entries. At only £9.00, this is a pretty good deal if you like playing in syndicates. World Lottery Club’s scratch cards and slots give you options for interactive play. Scratch cards are pretty easy: if you’ve used real-life scratch cards before, playing their virtual counterparts is no different. Okay, you don’t actually “scratch” the cards, but the mechanics are still the same. You click on each cell to reveal the images underneath. If you get the same images a certain number of times, you win! It’s that easy. 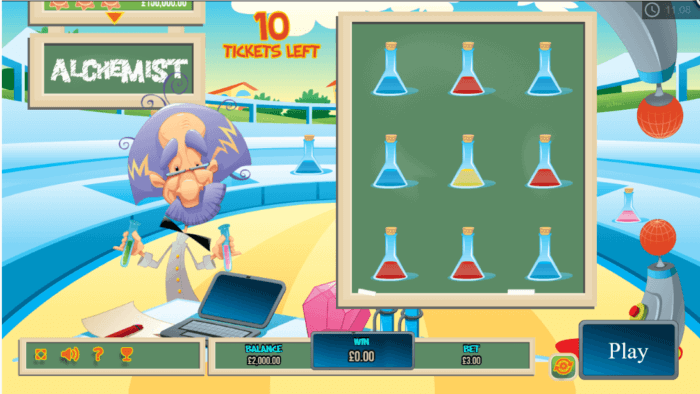 A sample of their virtual scratch cards. World Lottery Club offers 26 scratch cards with various themes. You can choose how many games you want to play, and you can even play a free demo of each game if you want to see how they work. Prizes vary depending on the game you choose. The lowest prize cap is £250, while the highest you can win is £125,000. World Lottery Club offers various virtual slots. If video slots are your thing, World Lottery Club offers 29 games to choose from. They don’t offer much information about each one though. What’s worse, you can’t play a free demo of each. If you want to see how they play, you would have to pony up some cash. That’s a very small gripe though – I still appreciate the inclusion of these games since they give players more options. World Lottery Club’s banking methods are disappointing compared to other lottery sites. I didn’t like how World Lottery Club only accepts 4 payment methods: Visa, MasterCard, Skrill and NETeller. Sure, a lot of people already use Visa or MasterCard credit cards. But what about those who don’t have any of these options in their country? For these users, the only options would be to apply for one of these payment methods, or go to another lottery site that accepts other modes of payment. Guess which option is easier? Is World Lottery Club Safe? Yes, World Lottery Club offers a safe and secure website. For starters, World Lottery Club uses SSL encryption technology to secure any transactions made on website. They are also licensed and regulated by two separate gambling commissions, the UK Gambling Commission and the Isle of Man Gambling Supervision Commission. They’ve got a license from the Irish National Excise Licence Office, too. Simply put, World Lottery Club has the credentials to prove that they follow strict gaming standards and are not a shady outfit. World Lottery Club’s support options didn’t impress me at all. World Lottery Club’s FAQs don’t give much in-depth information. For instance, they don’t provide details about deposit and withdrawal options. You have to do your own digging to find what payment methods they accept. Worse than the lacking FAQs, you can only contact World Lottery Club’s support team via email. You can also get their mailing address, but let’s be honest, snail mail isn’t an option for urgent concerns (especially if you live in another country). World Lottery Club offers impressive education materials. World Lottery Club does a solid job of explaining how each lottery game works. I give them a huge thumbs up for this one! Do you want to learn more about, say, Mega Millions? World Lottery Club will run down how it works, show you what the jackpot structure looks like, and more. You’ll want to brush up on your jargon, though, because World Lottery Club doesn’t give you an in-depth glossary. World Lottery Club has one of the simplest websites around. I really like World Lottery Club’s uncluttered, minimalist interface. You’ll have no problems finding your way around their simple website. Up top, World Lottery Club’s main menu links you to the different game pages, while the front page gives you an overview of their offerings. You can register for an account and buy tickets with a few clicks. World Lottery Club’s website is quite simple. Here’s one strike against World Lottery Club, though: some important links (like FAQs and Contact Us) sit at the very bottom of their website. Those links should be part of the main menu or somewhere else that’s easy to see. That’s a minor gripe, though. Overall, I really liked World Lottery Club’s ease-of-use. Creating a free account at World Lottery Club takes less than ten minutes. Click on the red “Login/Register” button located at the top-right corner of their website. Click on the “Register for a New Account” button. In the registration form, enter the following details: gender, first and last names, email address, password, country, phone number, complete address, postcode, and date of birth. Verify that you have read their terms and conditions. Click on the big, red “Register” button. You’ll have to deposit some funds into your account. You can choose to do this later at checkout though. World Lottery Club works just like any other lottery site – playing is no exception. Choose how many draws you want to play, or decide whether you want to subscribe. Click on the big yellow button to proceed. Confirm your order and payment details. Click on the red “Pay Now” button once you’re done. Claiming prizes at World Lottery Club is a breeze. World Lottery Club deposits all winnings – whether small or large – to player accounts, so you don’t have to worry about traveling far to get your money. There are differences depending on how much you win, though. For winnings £50,000 or less, you’ll see the money in your account as soon as possible. These will be coming from World Lottery Club’s own funds. For winnings beyond £50,000, you could wait up to 40 days before your account gets credited. World Lottery secures the funds by making a claim with their insurance provider or claiming from the relevant lottery provider. For winnings beyond £10 million, you get the first £10 million in one payment. The remainder will be spread out over 19 equal, annual payments. These annual payments will be credited to you within 7 days of your first payment’s anniversary. 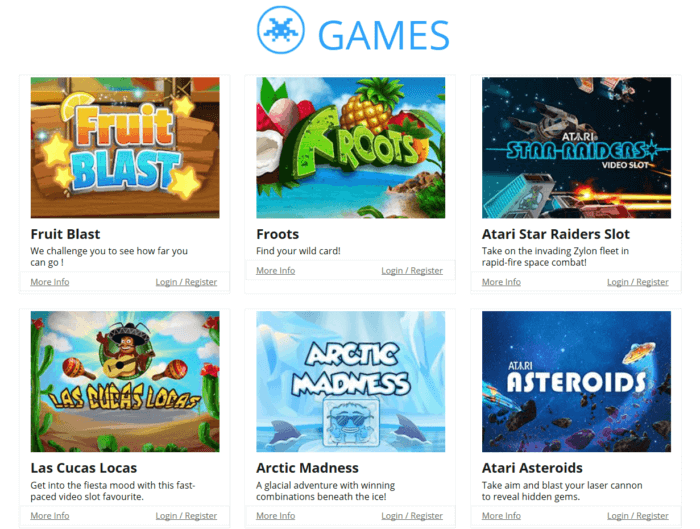 Choose from a vast game selection! theLotter offers 53 single play lotteries and 24 syndicates. There’s the occasional raffle, too. theLotter accepts over 29 payment methods, so you don’t have to jump through hoops just to deposit funds or purchase tickets. theLotter is a lottery agent, which means they purchase actual lottery tickets on your behalf. Unlike World Lottery Club, you’re not betting on outcomes – you’re a participant. WinTrillions not only offers 20 single play games and 13 syndicates, you can also play millionaire raffles and raffle syndicates. Wide array of payment methods. WinTrillions accepts 32 payment methods, from popular credit cards to a various e-wallets – it’s easy to purchase tickets or deposit funds. You won’t be able to purchase single-entry tickets for single entries. Unfortunately, this means each purchase will cost you more than at other sites. LottoKings also offers 29 lotteries, some syndicates, and a few millionaire raffles. Jackpots can be claimed on your behalf. You can allow LottoKings to claim your winnings for you. Getting your money from them is easy, too: you can choose whether you want to be issued a check or to claim the money at the nearest LottoKings office. Although LottoKings is a lottery agent, they don’t send players a copy of their tickets. They do, however, send out purchase invoices instead. Give World Lottery Club a look – they offer several games that may interest you. Just don’t expect a flawless experience. If you use Visa, Mastercard, Skrill or NETeller – and don’t mind simply betting on lottery outcomes – then World Lottery Club is definitely worth a look. Just remember that World Lottery Club may deduct a significant amount from your winnings, and that you have to purchase 24 draws worth of tickets to get discounts. If you do choose to try World Lottery Club, you’re looking at a secure, user-friendly lottery site with a decent variety of games. I say, give them a look – but don’t commit to a purchase without checking out other alternatives first. World Lottery Club, operated by Annexio Limited, is a lotto betting site that allows players to bet on the outcomes of some of the biggest American and European lotteries. 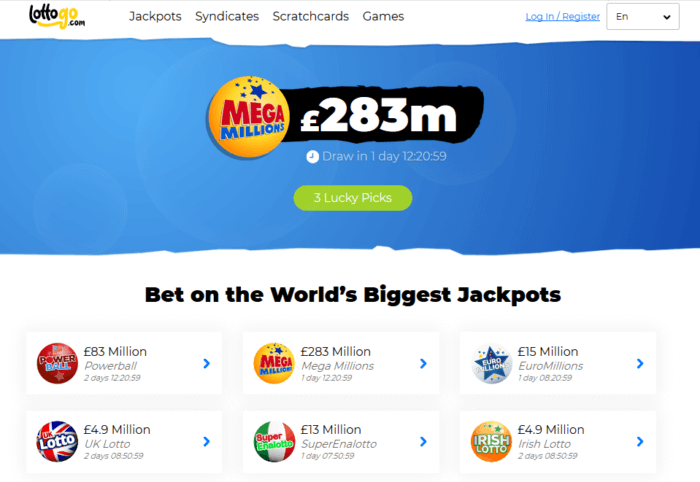 World Lottery Club has offices in London and in the Isle of Man, and are licensed and regulated by these areas’ respective gambling commissions. World Lottery Club also holds a license from the Irish National Excise Licence Office. can i play it from India? Hi Ishan, yes, most lottery websites will let you play from India. Make sure your local laws allow it, though! Hi Ishan, yes, most lottery websites will let you play from India. Make sure your local laws allow it, though. Good luck!